I seem to have had a good couple of weeks in books. It feels good to read and know that I still enjoy it as much as I always did. Currently, I have seven books waiting to be reviewed, and I'm slowly beginning to knock those out of the backlog. This weekend, I started reading How to be a Good Wife by Emma Chapman. It's one fast book - the comparisons of this book with Gone Girl and Before I Go to Sleep is what intrigued me initially, but I hope it is less like the latter than it seems to be hinting so far. Chapman's book holds a lot of mystery and gives you the feeling that something is not quite right with this picture but you're not yet sure where to place your bets. 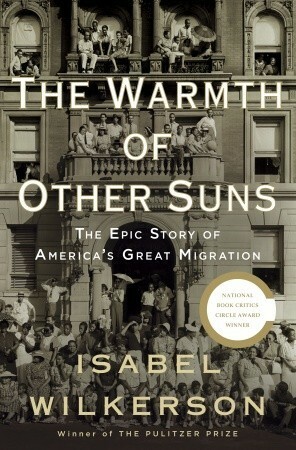 Today, I'll begin listening to The Warmth of Other Suns by Isabel Wilkerson. This is one of those nonfiction titles I've heard plenty about but never wanted to read because I don't read nonfiction well. But I've been having great success with nonfiction on audio, making books like these more accessible to me. There are plenty of discs on this audiobook to keep me busy for a good long period. 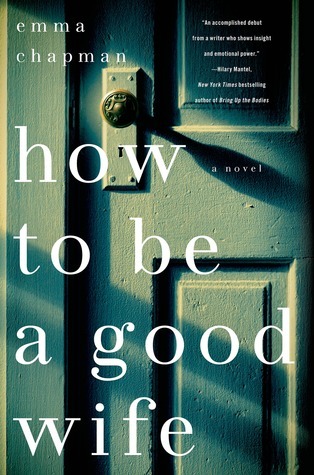 I have three good books lined up after How to be a Good Wife. Neil Gaiman's The Ocean at the End of the Lane is top on my list. I've only read one Gaiman book previously (Coraline), which didn't impress me much. But I'm hoping this one will change that opinion. The other two titles are Always Watching by Chevy Stevens and Me Before You by Jojo Moyes. Since I liked Gone Girl and Before I Go to Sleep, I'll have to check out The Good Wife (also like the tv series by that name). I wish they'd quit comparing everything to Gone Girl. Having said that, How to be a Good Wife sounds great! I've got quite a review backlog too, hopefully I can catch up at the weekend! Hope you enjoy Ocean at the End of the Lane, I'm planning to read American Gods or Neverwhere pretty soon. I am so with you on that! Much as I enjoyed Gone Girl, it's not a subject that can have the same appeal the second time round. With so many books being compared to Gone Girl, I just don't feel like reading any of them. I am hoping to enjoy Ocean at the End of the Lane. Hope you enjoy your picks too! There's a Baby-Sitters Club graphic series??? *frantically searches the internet* How did I miss this? Move that up to the top of the review pile! Yep! :) And I hope you enjoy the books. I haven't read the original books but I loved the graphic series! I'd really love it if you review Forgive me, Leonard Peacock first.